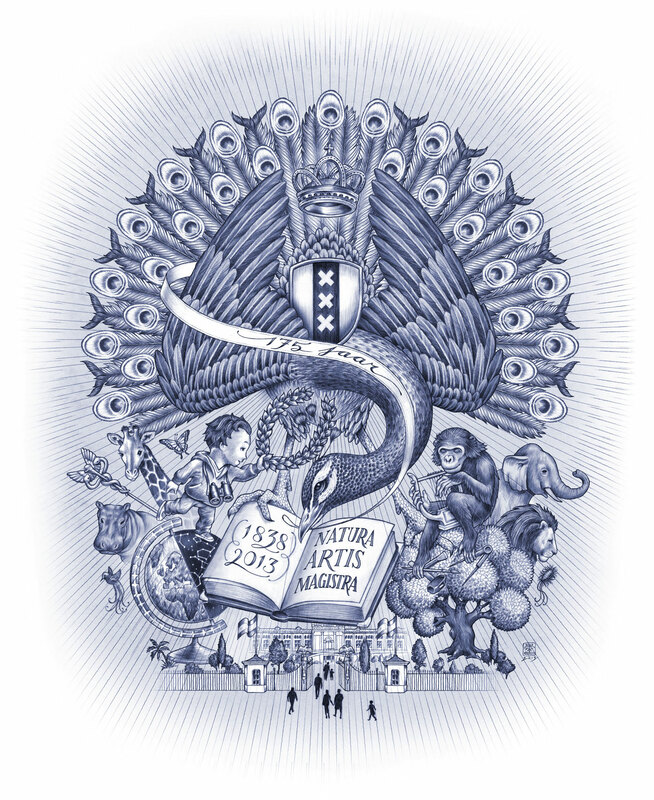 fig.1 ~ Detail of the new Natura Artis Magistra emblem. The Royal Amsterdam Zoo, Natura Artis Magistra, and Raoul Deleo have been working together in several occasions. For the 175 year anniversary of the Amsterdam Zoo, Deleo designed a modern version of the old emblem that was created in 1852. 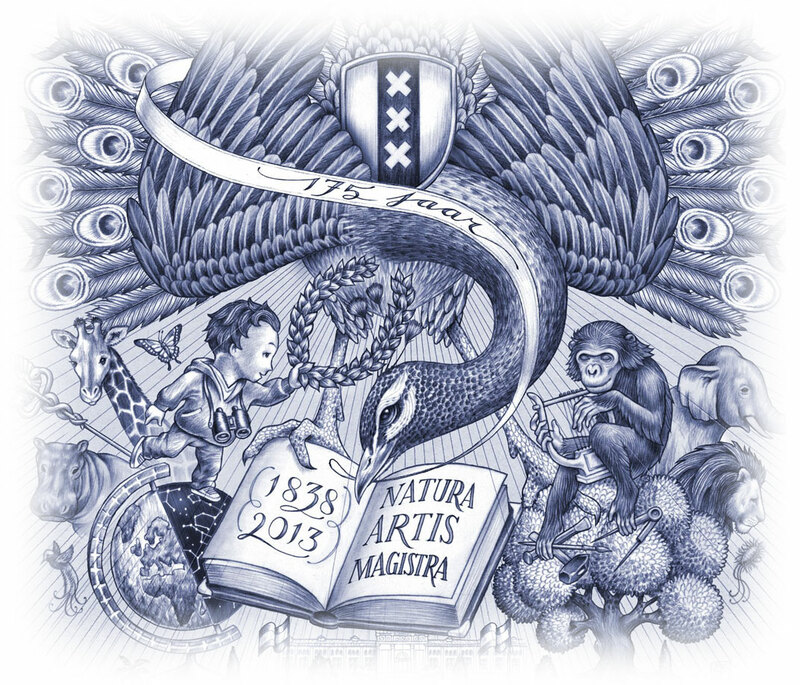 The new Natura Artis Magistra emblem in its full glory.